Wieso teure bunte Nudeln kaufen, wenn man sie auch ganz einfach selbst machen kann? 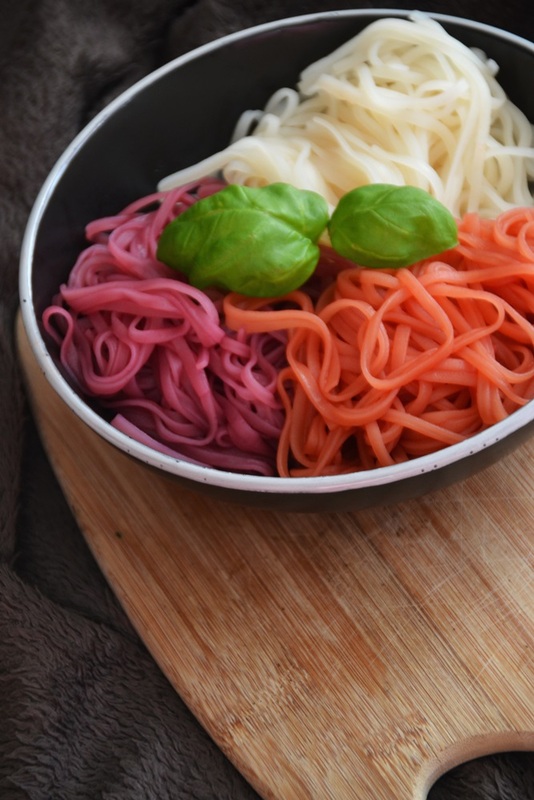 Why buy expensive colored pasta when you can easily do it yourself? 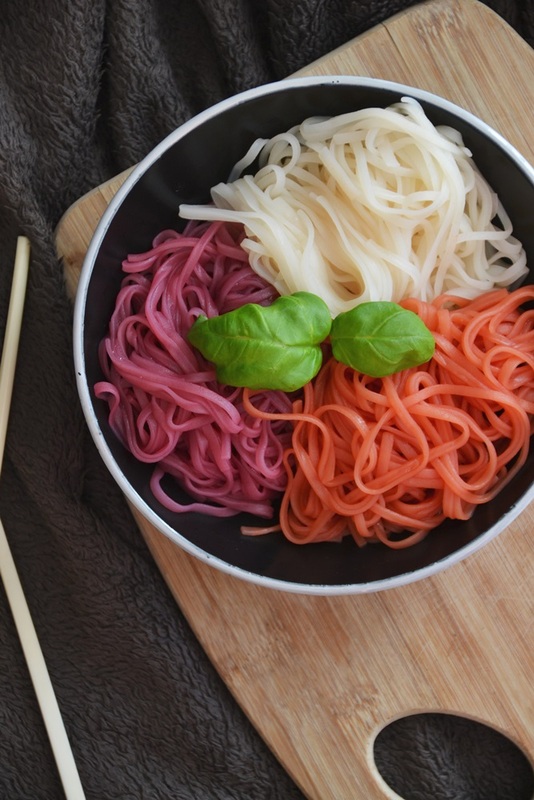 As a small child I always loved pasta salads, especially those with colored pasta! But the last time I’ve eaten this pasta is like 8 years ago. 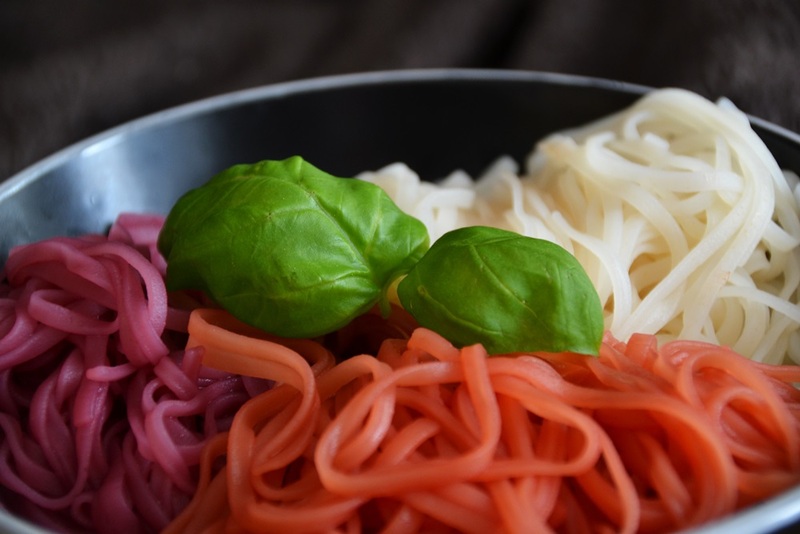 Some time back I was looking through one of the thousands of cook books my boss owns (I love my job) and found a recipe where you dye pasta with beet juice. OF COURSE I had to try this. With many colors! So I ran into the next supermarket and got rice noodles and different juices. Not that easy – the supermarket was hella big and there was a vegan section (as if I can pass that). At home I, excited as I was, started cooking and soon noticed using pink grapefruit juice wasn’t the best idea. It wasn’t intense enough to color the pasta, so: Only use intense colors!